October saw a huge jump in the median sales price for the Reno and Sparks, Nevada housing market. October’s median sales price was $260,000; representing an 8.8 percent one-month increase over September’s median sales price of $239,000. $260,000 also represents a new high for the year. 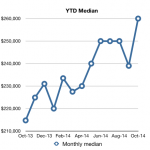 Year-over-year October’s median sales price is up 21 percent. 482 houses sold in October — representing a 4.2 percent decrease from the 503 houses sold in September. Much of this decrease can be attributed to the seasonal slowdown of home sales. That being said, October’s 482 houses sold also represents a 10.4 percent decline year-over-year. October’s median sold price per square foot (ppsf) increased to $140.53/sq.ft. — an increase of 2.9 percent over September’s median sold ppsf of $136.63. Year-over-year October’s median sold ppsf is up 11.6 percent. October’s median days on market (DOM) came in at 73 days — adding three days to September’s median DOM of 70. October’s median DOM is up 15.9 percent year-over-year. Available inventory dropped considerably in October; and pending sales increased considerably. Currently, 1,083 houses are available for sale. That number is 18.3 percent lower than the 1,390 houses available for sale this time last month. Where did all these houses go? Those that didn’t sell went into a pending sale status. Currently there are 1,075 pending sales. This number is up 7.6 percent from the number of pending sales this time last month. Currently the local market has just over a two-month supply of inventory. Look for the median sales price to remain at year-highs (or higher) next month. Six homes sold for more than $1 Million in October. 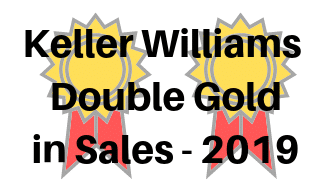 That brings the total for the year to 62 sales of $1M+ homes. At this time last year, the Reno-Sparks market had seen 52 sales of $1M and above homes. At the current rate of sales, 2014 looks to exceed 2013’s 67 sales of $1M and above homes. October’s median sold price for houses and condos combined was $240,000 — a 6.6 percent increase over September’s median sold price of $225,000 for combined sales of houses and condos. Note: The medians table above is updated on a monthly basis. The median home price data reported covers the cities of Reno, Nevada and Sparks, Nevada [NNRMLS Area #100]. Residential data includes Site/Stick Built properties only. Data excludes Condo/Townhouse, Manufactured/Modular and Shared Ownership properties. Data courtesy of the Northern Nevada Regional MLS – November 2014. Note: This information is deemed reliable, but not guaranteed. This entry was posted in Agent Insights, Market Trends and tagged inventory, median days on market, median home price, median home sales price, median sold price per square foot. Bookmark the permalink.